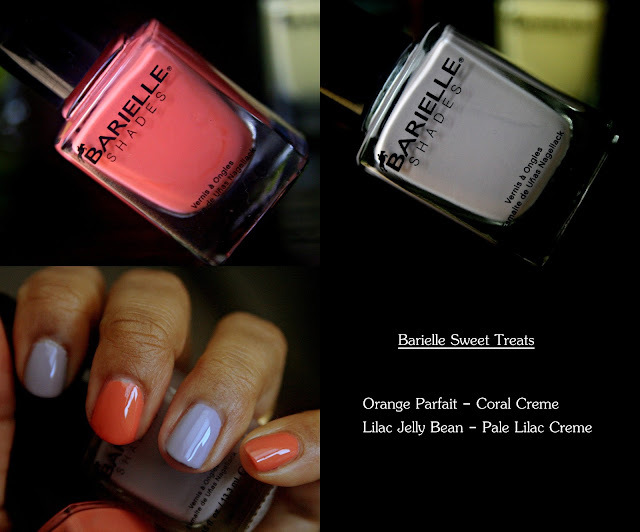 Barielle's new spring collection, Sweet Treats is a fun mix of bright greens, corals along with a very beautiful shimmery teal. The colors aren't the most original in any spring collection, but the formula is amazing! All polishes were very consistent and completely opaque in two coats. Here are some quick swatches of the collection! *Press Samples. Green Apple Chew, a bright green and Banana Drop, a pale, creamy yellow. Both colors have no shimmer or glitter. Green Apple Chew is more of a summer color than spring, and Banana Drop is the perfect pale yellow for anyone not wanting to go for the uber bright yellows. Orange Parfait, a coral creme and Lilac Jelly Bean, a pale lilac in the bottle that surprisingly looks much deeper with two coats! Blue Cotton Candy - I love the teeny tiny hint of shimmer in Blue Cotton Candy that adds a nice dimension to the color. This would make for a great fall color as well. The formula is perfect - you could get away with just one coat! Barielle is free of DBP, toluene, formaldehyde-resin, formaldehyde & camphor. Price : $8 individually, $25 for the Sweet Treats 5-piece Kit. 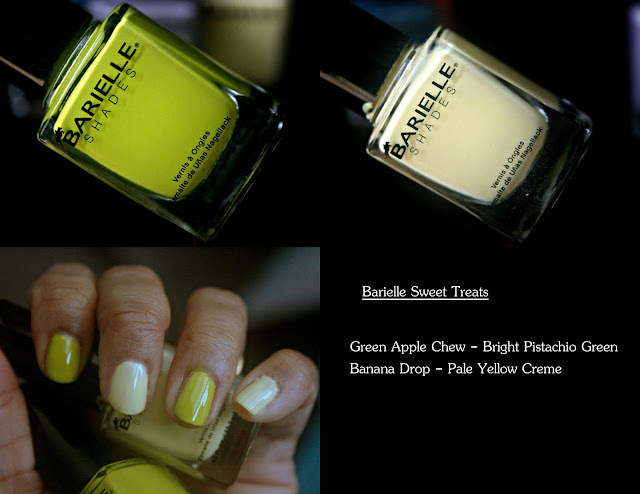 What are your thoughts on the Barielle Sweet Treats Spring 2013 Collection?